Beneath a Jeweled Sky is a full length album containing eight original songs and five traditional songs. 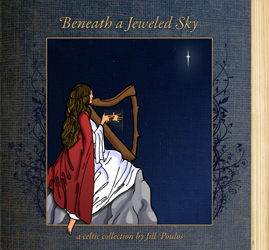 This album is the culmination of Jill's composing and orchestrating pursuits. To purchase Beneath a Jeweled Sky click here. Click here for photos from our March 13th concert at Painted Sky Studios.